In this situation a previous repair had been made to the wall studs. The studs had been cut up to eliminate some rot, but then scabbed together! 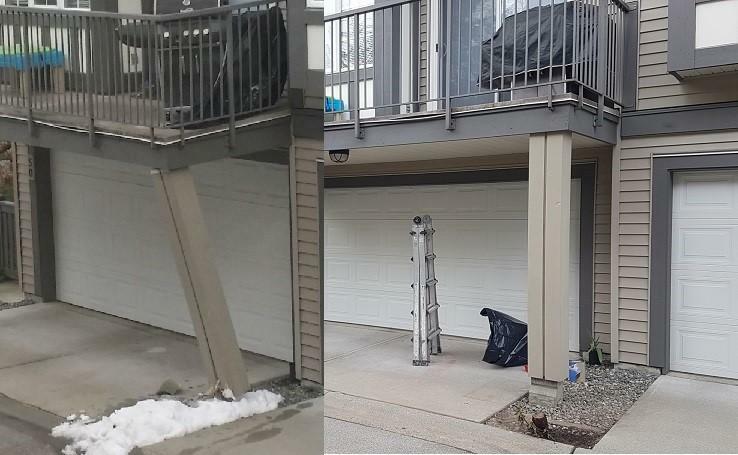 To remedy this structural error, we poured a new curb wall then ran a new sill plate on top which not only allowed us to tie the existing studs back in but, gave us a better detail for waterproofing later (CIM). 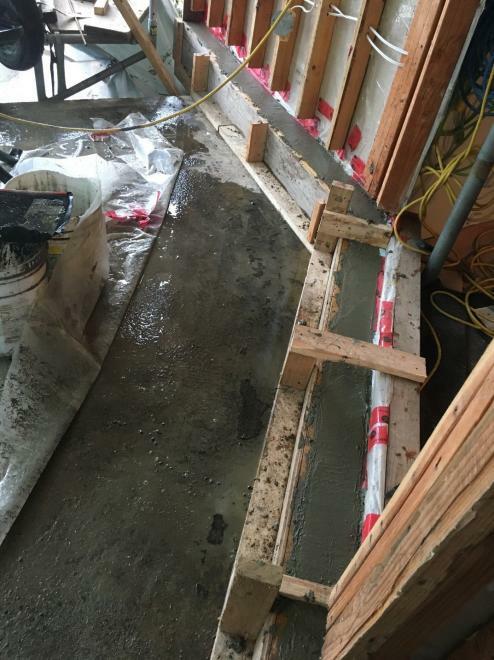 In this situation the above floor joists were improperly supported from below actually causing the floor to sink over time. 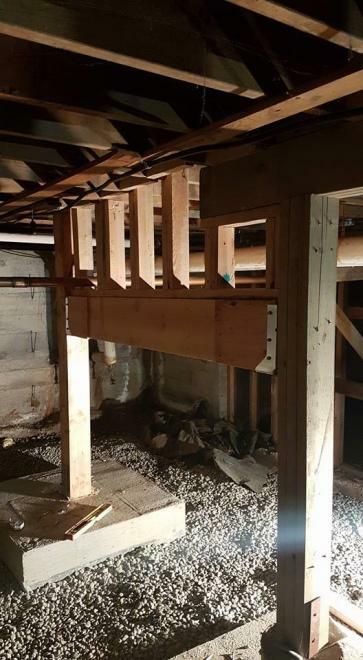 To remedy this error, we had to raise the floor with temporary shoring, pour new foundation pads for the new posts, and then install a beam spanning across with posts that tied into individual floor joists. Note the Simpson hardware also required to make this upgrade structurally sound! This post was hit by a car and knocked off its cement pedestal. We shored up the above deck to reset the post on a new pedestal and added additional Simpson hardware as required.